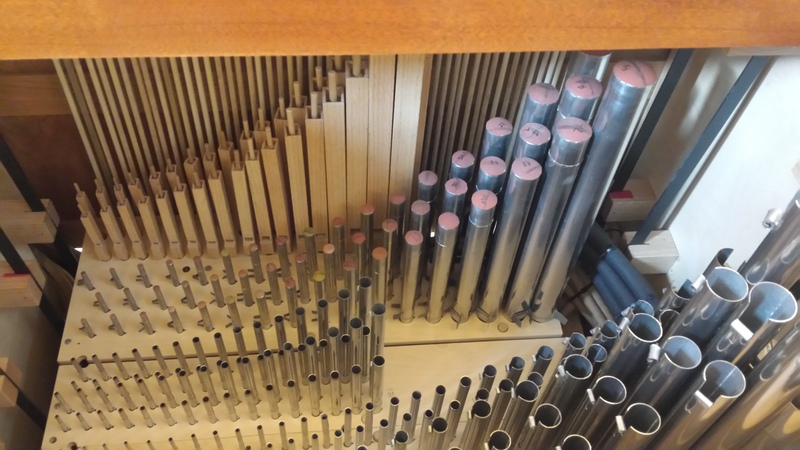 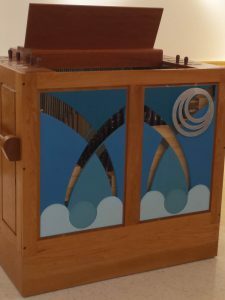 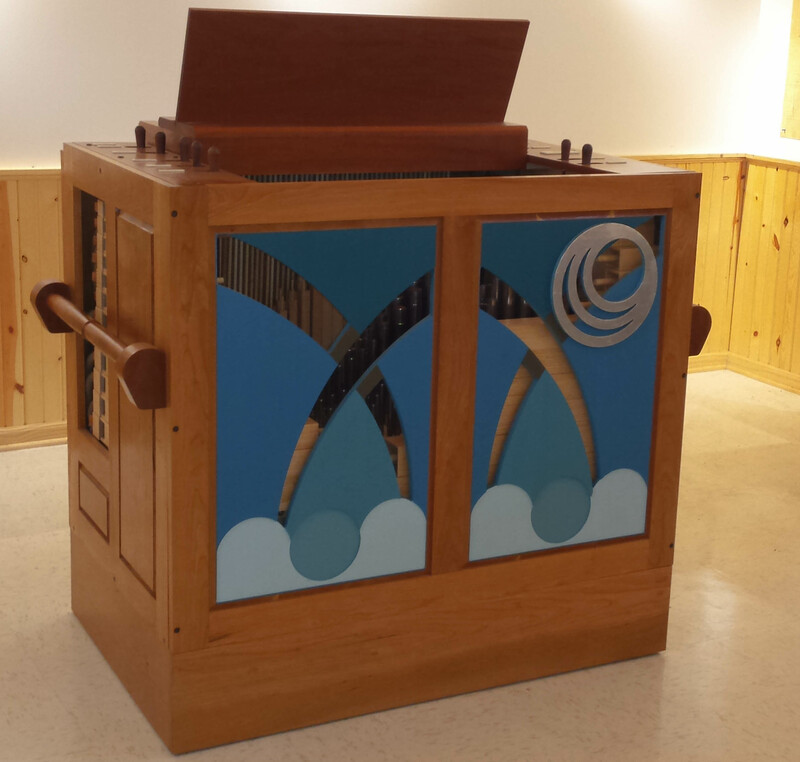 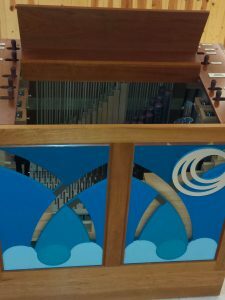 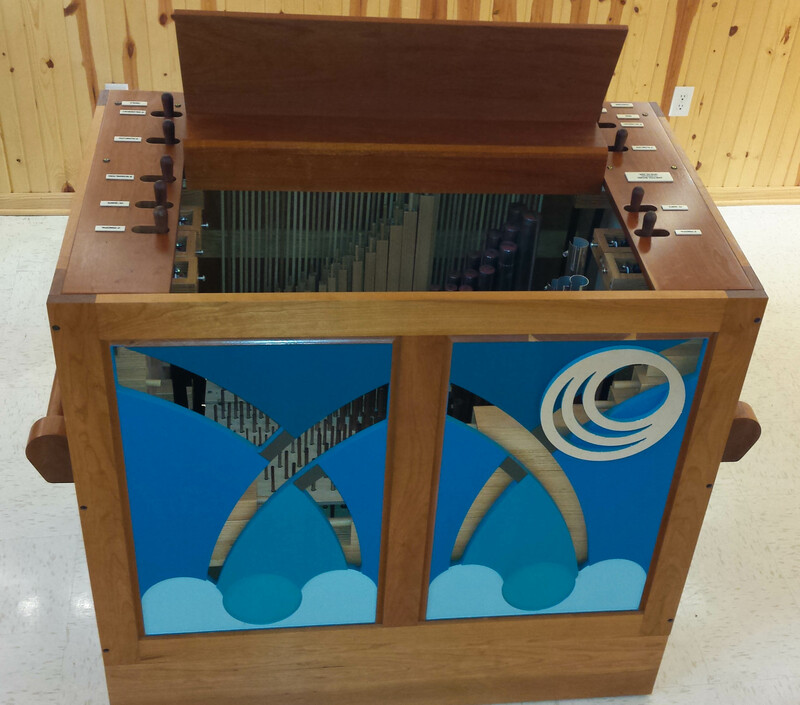 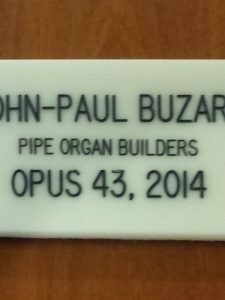 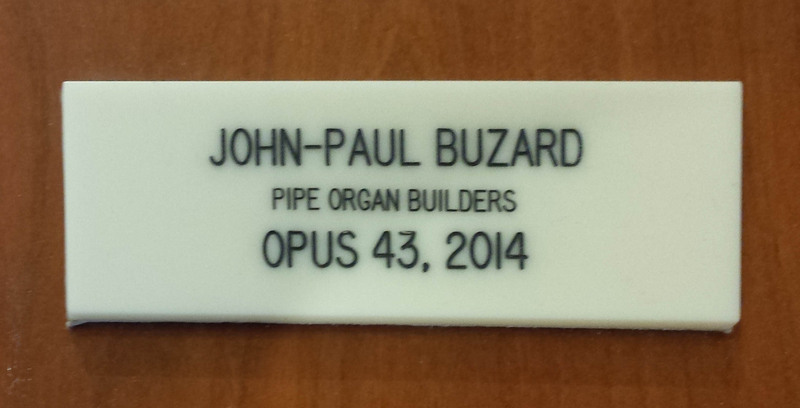 Our Opus 43 from 2014 is a mechanical action continuo organ crafted especially for Blue Lake Fine Arts Camp in Blue Lake, Michigan. 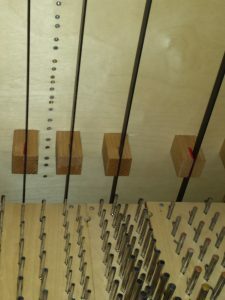 The stops are divided Treble (left side) and Bass (right side). 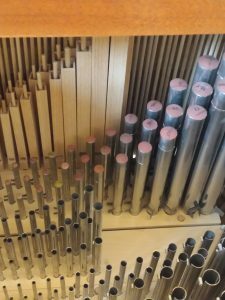 It contains an 8′ Holzgedeckt, 4′ Kleinflöte, 2′ Prinzipal and 1 1/3′ Quinte. 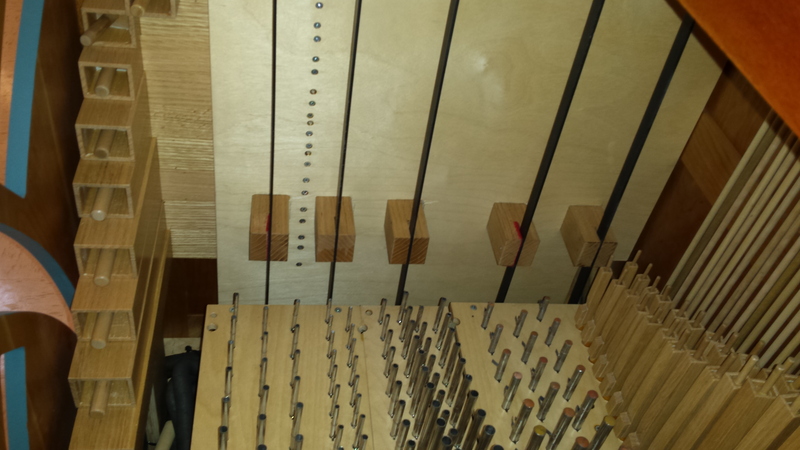 There is a transposer knob that shifts from A=440 to A=415.